In this simple lesson, I will show you how to illustrate a mom clipart made from basic shapes and filled with plain colors. 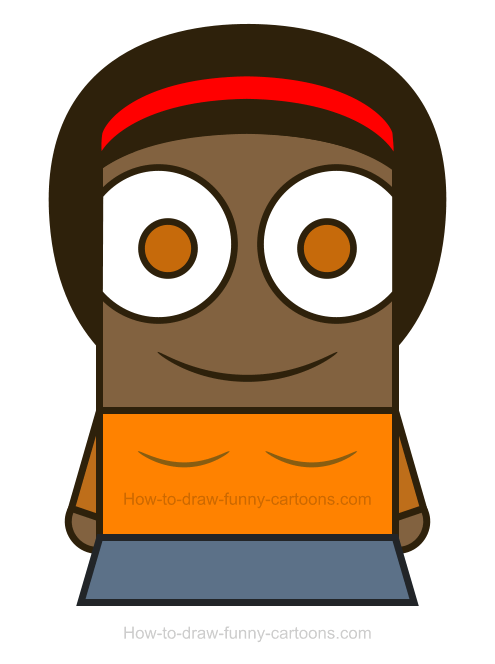 Our cartoon character is dressed with a basic outfit and is wearing a headband. 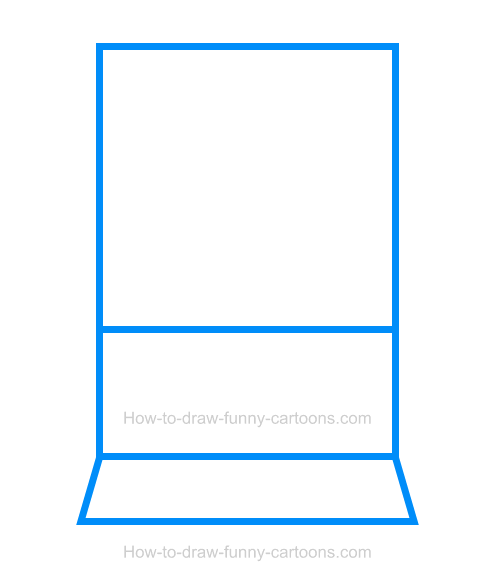 If you can draw a simple rectangle, then chances are that you can sketch this character easily. Moms are essential in the life of ... well, everyone! She is the one who can understand what you are going through and how to help you properly (well ... except for teens, but that's another story!). 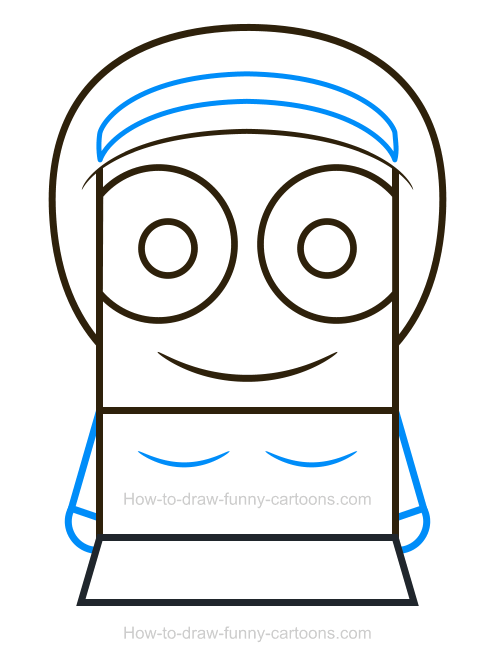 Let's pay tribute to all moms all around the world by sketching a simple version that anyone can duplicate. First, let's draw a large square to create the head of this character. The body can be made from a simple rectangle. Finally, complete this first step by drawing a third shape below the body to form the dress. This new shape must be wider on the bottom as shown below. I like to use thick outlines to make sure the illustration is easy to read. Let's work a little bit inside and around the head. You can begin by adding two large circular shapes to represent the eyes. The pupils are also made from smaller circles. The mouth is done using a curved line and this character doesn't have a nose. 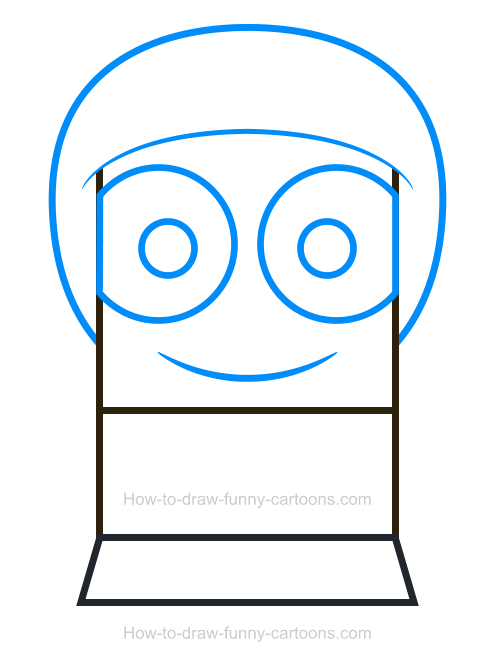 Complete this second step by drawing hair around the head using a long curved line. Next, let's create a headband on top of the head. This one is made from a rectangle that was made from curved lines. Both arms are done using thin rectangles while the hands are created from circles. Finally, complete this step by adding two thin lines to form the breast. It's time to add some plain colors to create a visually fascinating illustration. In this case, the headband is red, the pupils are brown, the hair is black, the dress is orange and the skirt is blue. Of course, you can play with colors and select anything you have in mind! Excellent! 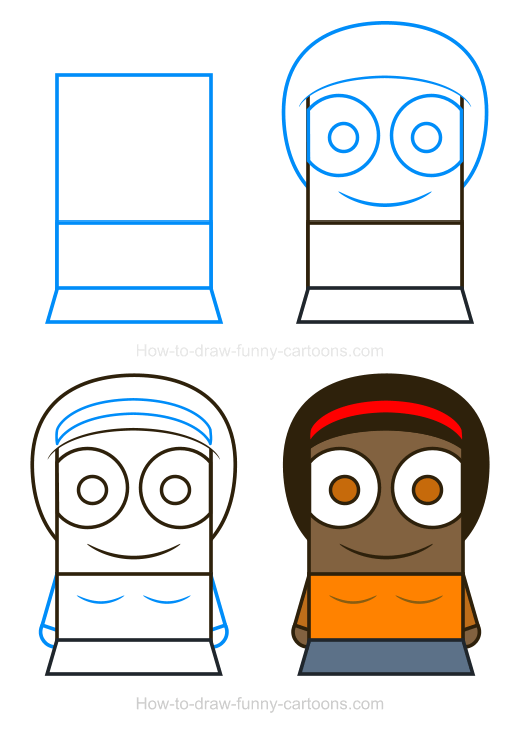 You have create a very adorable mom clipart!